Continuing on his European exploration, Michael Portillo provides an insight into "Great Continental Railway Journeys" in this enticing programme. This five episode series is being shown on Thursday evenings at 9pm on BBC 2 and BBC HD. Michael begins in the truly international city of Basel and travels east to visit industrial Zürich. He then heads for the glorious Alps and learns how astonishing engineering feats conquered the most challenging peaks, before taking in the striking beauty of Lake Lucerne. His journey ends with a spectacular ascent by train to Europe's highest station, perched atop Switzerland's dramatic Jungfraujoch. Ffestiniog Travel's comprehensive European ticketing service allows you to follow in Michael Portillo’s footsteps. Basel is at the border of Switzerland, France and Germany. Begin your journey at Basel SBB, the Swiss station, taking just under an hour to reach Zürich HB. Then travel onwards to Luzern and Interlaken before beginning the climb up the Jungfrau. 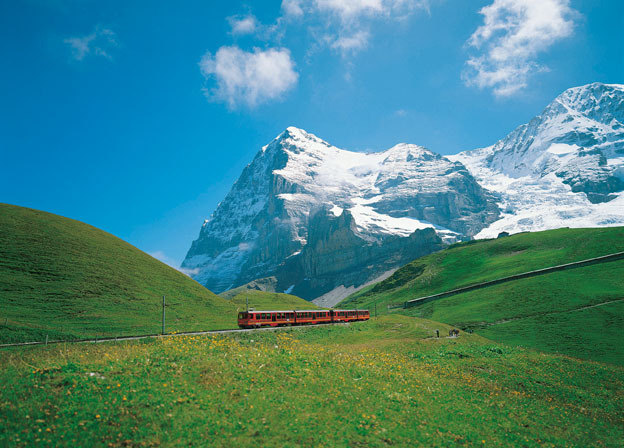 The entire journey would take about 6½ hours and fares start from £125.00 for a single ticket in second class but if planning to recreate this journey you would probably want to purchase one of the range of Swiss Passes which give unlimited free rail travel on most railways in Switzerland and much more. They also give a 25% discount on the Jungfrau line from Grindelwald, discounted tickets can be purchased on board Swiss trains and currently cost CHF67.50. If you wish to find out more about European rail travel or would like to book a ticket please don't hesitate to contact us direct on 01766 772050 or email dan.may@ffestiniogtravel.co.uk. Further information can be found on our website www.myrailtrip.co.uk.